Since the release of the OnePlus 6 in May, the rumor mill has been churning out plenty of stories about the OnePlus 6T launch. There is no official confirmation, but since the Chinese company followed up the OnePlus 5 with the even better OnePlus 5T last year, it’s possible the 6T will hit the market very soon. For the Chinese company, the OnePlus 6T could prove to be a very special device, as it will reportedly be backed by a major U.S. carrier for the first time. Citing people familiar with the company’s plans, CNET claims that T-Mobile could be the exclusive U.S. carrier partner for the 6T. There might also be a special edition of the 6T optimized for the carrier’s network. There will also be a standard unlocked version which will run either on AT&T or T-Mobile and on other overseas networks. Before the U.S. launch of the 6T, T-Mobile and OnePlus will have to complete the required testing to run the handset on the network. Reports suggest the Chinese company is in the process of getting technical clearance for it. If true, the partnership with T-Mobile would be a big win for the Chinese company. It also highlights the progress OnePlus is making with its handsets. Though the company is not yet a household name, its feature-rich phones at attractive prices have attracted die-hard Android fans. A partnership with T-Mobile would enable it to further expand its physical presence via thousands of T-Mobile stores. As far as specifications, the OnePlus 6T is expected to sport a 6.28-inch full HD+ Optic AMOLED screen similar to the one in the OnePlus 6. However, the 6T could come with a higher screen-to-body ratio, as the company might do away with the notch. The handset is expected to be powered by the same Snapdragon 845 processor. OnePlus’ upcoming handset is expected to run on Android 9.0 Pie out of the box. The handset will likely be available in two variants: one with 6GB of RAM and 64GB of storage and the other with 8GB of RAM and 128GB of internal storage. The handset might be equipped with a bigger 4,000mAh battery and could get an improved camera. Potential buyers will be hoping for a better 16MP+20MP dual-lens rear-facing camera. Since OnePlus and Oppo are brands from the same manufacturer, Oppo’s latest R17 could provide some hints about the 6T. The R17 has a smaller notch and a distinct lack of bezels. The handset also features an in-screen fingerprint sensor on the front. It’s possible the same can be expected for the 6T as well. The Chinese company could also add wireless charging to the upcoming handset. Considering that the OnePlus 6 was only rated “splash resistant,” the 6T might get proper waterproofing as well. Not many changes are expected in terms of the design, except for tweaks here and there. The 5T also was not a big change from the OnePlus 5. The OnePlus 6 was among the first handsets from the company to get a glass back, and the same is expected for the 6T as well. There are speculations that the new handset will launch in October. Since the OnePlus 6 arrived in May, and considering the company’s launch schedules in past years, an October launch is not at all surprising. The OnePlus 5 launched in June, followed by the November launch of the OnePlus 5T, so the release pattern is one release in the summer and the next in the autumn. As far as price, the new handset will likely command higher prices if past trends are anything to go by. The upcoming handset is expected come with a price tag of $550, an increase of $21 from the OnePlus 6’s price in the U.S. The OnePlus 5 was priced at $479, while the 5T carried a price tag of $499. Will there even be a OnePlus 6T? For now, nothing is confirmed about the OnePlus 6T, not even its name or its existence. 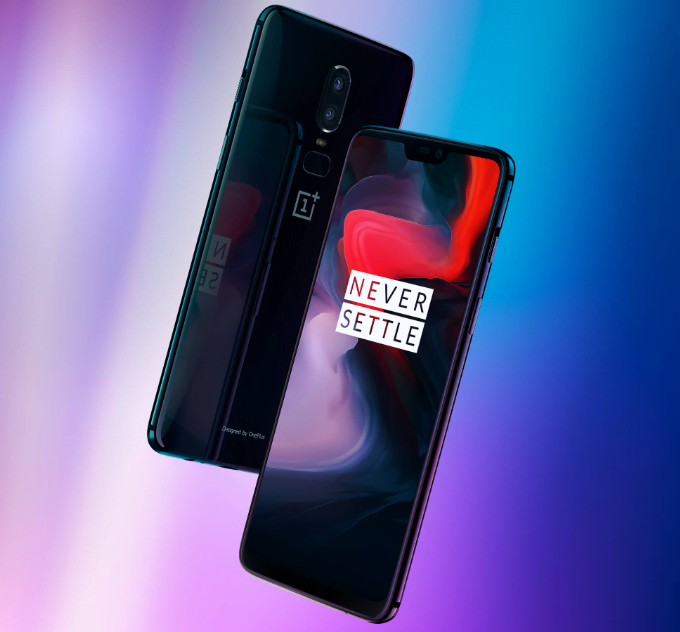 However, OnePlus India General Manager Vikas Agarwal reportedly told tech2 that the company will launch the 6T only if the industry has something new to offer. It must be noted that the OnePlus 3T came after Qualcomm released the Snapdragon 821, while the 5T was launched while the smartphone industry was pursuing the 18:9 display trend. Currently, there is nothing new that can be added to the smartphone to differentiate it from the rest of the lot. However, there are quite a few other things the 6T could adopt, like an in-display fingerprint sensor or adding more than three cameras. Let’s not forget the next big thing in the Internet revolution; 5G mobile connectivity will soon be a reality.